Need to 3D Print Larger Parts or High Quantities of Prototypes Fast? At Objective3D Direct Manufacturing (formerly known as RapidPro and Redeye Australasia), 3D printing and custom manufacturing is our core and we’ve been doing this for over 12 years. Located in Carrum Downs, Victoria, at the Objective3D Additive Manufacturing Centre, the largest of its kind in Australia and New Zealand, we offer a wide selection of solutions which includes Fused Deposition Modelling (FDM), Polyjet, EOS Selective Laser Sintering(SLS), LaserCUSING (DMLS), Vacuum Casting, Injection Moulding and CNC. 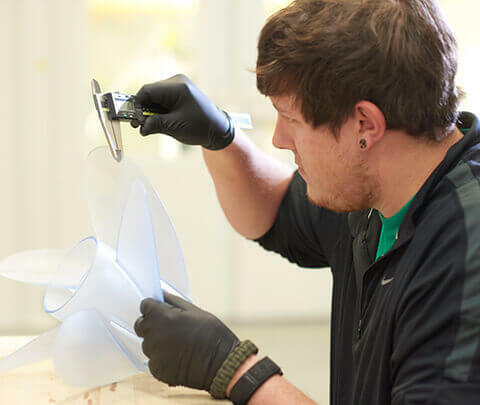 Each part undergoes quality inspections during the quoting, programming, manufacturing and part finishing stages to ensure our customers receive high-quality parts to their order specifications. We have also gone to great lengths to protect the privacy of our customers, guaranteeing total data security with every project. On average the Objective3D Direct Manufacturing receives over 2000 orders and produces over 100,000 parts annually. We have worked with organisations in the fields of architecture, art, food manufacturing, and medicine. Our Customer base stretches from hobbyists to some of the world’s largest OEM. ISO 9001 certified with 16 commercial grade 3D printers backed-up with being part of the Global Stratasys Direct Manufacturing Network, Objective3D Direct Manufacturing gives you peace-of-mind on your entire product development process and your parts are built to the highest quality. From Concept to Production, Plastic to Metal, Melbourne to Minneapolis – we’ve got you covered.